Mobile broadband which is a fast growing network now is making revolutionary changes in the internet. People have been shifting to the Mobile broadband from various source now-a-days. We Mobile broadband has really grown in popularity over the past few years, with all the major mobile providers now offering a large selection of mobile broadband packages and deals. So where do you start of you’re new to these particular gadgets? Here are our top five pointers for picking up the perfect internet on the move deal. 1) Modem, Wi-Fi or Laptop? The biggest factor is your hardware choice. 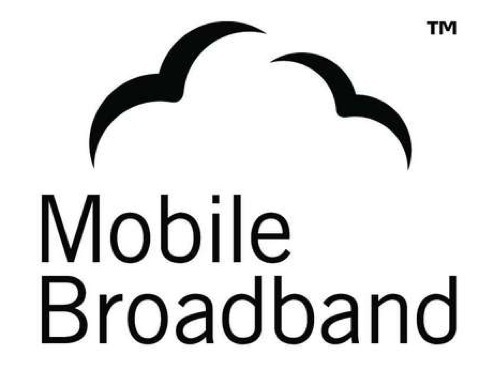 If you don’t have a laptop or tablet PC, you’re going to need one to take advantage of mobile broadband on the move. You can find some great deals which include them, letting you pay for your shiny new laptop as part of your monthly payments over the length of your contract (usually two years). If this isn’t an issue, you still have a decision to make – modem or mobile Wi-Fi unit. USB modems will tend to be cheaper, but a mobile Wi-Fi unit will give you the opportunity to securely share your mobile broadband signal between several devices at once. This flexibility can be well worth the small extra outlay. There are two essential parts of choosing the right mobile operator – reputation and signal strength. While we’ll come to deals in a bit, you can probably rule out a few companies straight off the bat. First, check each mobile broadband provider’s website and look at the coverage map – can you get a good signal in the areas you need? If not, cross them off the list. Next, simply ask around of read some user reviews to gauge opinion on the ones who are left. Do they have good customer service? Do they get solid reviews by friends in your area? Depending on where you are, mobile broadband speeds can vary dramatically. It’s possible to move between several different qualities of signal on a single journey, from super-fast broadband to a super slow crawl. You’ll probably find a good 3G signal will get you a speed of a few Mb, which will suffice for surfing the internet and checking mail etc. For more demanding tasks, you may want to look out for 4G deals if they’re available. Next, you need to estimate how much data you’ll be using each month. This can have a real impact on the price of your deal. If you then go under, you’re wasting money on data you’re not using – but if you go over, you can be charges for excess data at really high prices. It all comes down to what you’re going to use your mobile broadband for. Just checking out standard web pages, social networking and checking your mail isn’t going to use much more than 25MB per hour, but if you want to stream YouTube it’s more like 150MB per hour. And if you want to download large files, such as movies, you’re looking at more like 1GB (or 1000+MB). Your last choice comes down to how you want to pay and how long you’re willing to commit to your mobile broadband provider. A prepay (or pay as you go) deal will give you flexibility to change provider when you want and you’ll only pay for the data you need, when you need it. On the downside, you’re going to pay a premium for the data you do use. A contract option will give you all kinds of advantages – cheaper data, plus the possibility of freebies including the mobile broadband device itself through to MP3 players or vouchers, depending on the offer. However, do you want to be tied into the same mobile broadband provider for a year or more?